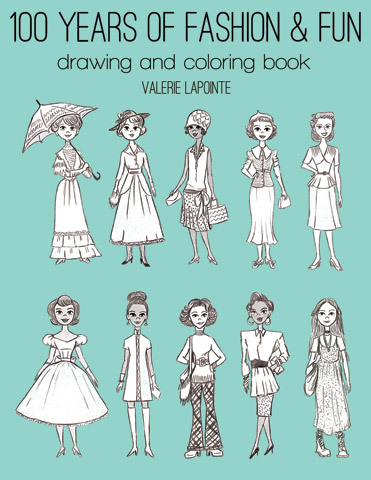 Travel through time and fashion with this fun and inspiring step-by-step drawing and coloring book! 100 Years of Fashion & Fun promotes creativity and discovering your own coloring and fashion style. Learn about history such as technology, trends and science from the last ten decades through the lens of fashion and style. The book includes over 120 pages of coloring, activity and drawing. Printed in the USA, this book is ideal for ages 8-108.